Traffic is crucial to the success of any online venture. However, getting noticed online can be tricky at times. With so much content flooding the web, many sites, both old and new, struggle to get people to pay them a visit. 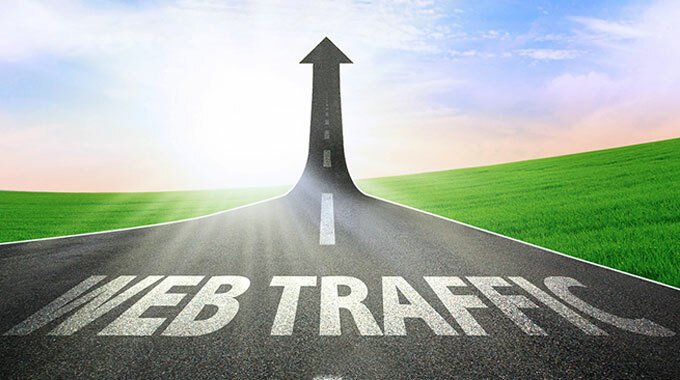 These tips will help you to boost your site’s traffic rankings quickly and safely. They’re not cheap tricks, but rather tried-and-tested marketing techniques that can pique web users’ interest and bring them rushing to your door. Setting up an SEO strategy to attract organic search traffic is not a quick fix. The sad truth is that you can’t go from zero to 60 on a content marketing strategy overnight. However, if you have already put some work into optimizing your site, you can quickly improve things by making a few quick tweaks. Is your site currently targeting the most effective keywords? For many businesses, particularly small startups, the best strategy is to target long-tail keywords, which face less competition from other sites. These key phrases are the low-hanging fruit of the SEO game. For example, very few web design agencies have any chance of ranking for the key phrase “web designer,” as there are so many other businesses targeting that phrase. However, the term “web designer in Bangor, Maine” is much easier to rank for, as it is much more specific. Try adding highly local or other highly specialized key phrases to your site’s content to narrow the focus of your SEO strategy. The meta description is the sentence or two that shows up underneath the link to your site on a search engine results page. If your pages are already ranking well for your chosen keywords, but you’re still not getting traffic, you might want to check whether your pages’ meta descriptions are as appealing as they could be. 4) Do You Need to Pay For Traffic? Let’s face it: ads will always be the fastest way to drive traffic to a website. You simply need to set up an Adwords account, choose which keywords you want to target and set a budget for your campaign. If you’re launching a new site or trying to rescue one that’s been lost in the wilderness for some time, a properly targeted ad campaign can provide an immediate boost in visitor numbers. To get the most benefit out of your pay-per-click (PPC) advertising campaign, you need to choose your keywords wisely. Just as in SEO, long-tail keywords can bring in a highly relevant audience, and these keywords usually don’t have too much competition from other brands. Competition drives up the cost of Adwords campaigns, as the amount you pay per click depends on the popularity of the keyword your ad is targeting. In 2011, Google switched to encrypting search data by default. That means that webmasters can no longer see data about the keywords that people search for before visiting their site. However, Adwords users still get information about how the keywords they choose are performing. A paid ad campaign can provide useful data about the best keywords to target for your site, which you can then use in your SEO campaign. Google Adwords is the best-known ad network available, but it’s not the only place to look for instant traffic. Facebook promoted posts are also a good way to reach out to potential customers. You can target them to people who already like your brand on Facebook and also reach their friends. Advertising your site on Facebook or Twitter can be a good way to attract the visitors most likely to become paying customers. Both SEO and PPC are useful strategies for attracting traffic to your site. The results of PPC are immediate, whereas SEO takes time to increase organic traffic, but offers long-lasting results. In the long-run, SEO is much more cost-effective than PPC. If you decide to use a PPC campaign to boost your site’s traffic immediately after launch, remember that it’s only a short-term solution. Keep working on your SEO strategy to gain long-term success. Ultimately, the safest way to generate organic traffic is always going to be to create top-quality content. Regularly updating your site with unique and engaging content is not a quick fix, but it will ensure that your search rankings stay safe for years to come. If you already have an email list, the fastest way to drive traffic to your site is to target this group of people. People who have joined your mailing list have already indicated their interest in your site. All you need to do is to write an email that is engaging enough to tempt them back to your site. Sometimes, offering a time-limited special offer can do the trick. You can also point out new content on your site. The key is to find out what your customers are interested in, then tell them just enough in your email to entice them to visit your site to find out more. This nice infographic explains how to create emails that convince people to not only open the mail, but also to click through to your site. When sending out emails that include graphics or fancy layouts, always consider what they will look like to mobile users to avoid losing out on potential traffic from people who view your site on mobile devices. Building a presence on social media takes time. Don’t be fooled into handing over cash to companies that claim to be able to get you 1,000 Facebook fans or Twitter followers overnight. If you do, your fan base will be comprised of mostly fake accounts. However, once you’ve built up a base of followers on social media, perhaps by asking your existing customers to like or follow you, reaching out to this group of people is quick and easy. Posting some engaging content, particularly a video or stunning image, is a good way to get noticed on your Facebook fans’ feeds. You can also offer discounts or a free gift to your Facebook fans or Twitter followers to convince them to visit your site. At the beginning of 2014 Google’s Matt Cutts spoke out against guest blogging as a way of building backlinks, saying that too many site owners are publishing poor quality blog posts on sites unrelated to their own; simply to get an extra link. However, not every website owner tends to treat guest blogging so instrumentally. Earning links and improving search rankings is just one, but definitely not the most important, benefit from guest blogging. Publishing on “befriended” blogs should be treated mainly as a way of reaching new, wider audience and introducing oneself as an expert in a specific field of knowledge. Every guest post should be highly beneficial to the readers and should provide valuable tips, great insights or showcase good examples. If you are serious about making guest posting a part of your marketing strategy, you should focus only on blogs that are the most authoritative in your niche – those that have a good reputation, plenty of traffic and rather restrictive guest posting requirements. Once you’ve identified the best sites, focus on creating truly engaging posts that will encourage the other site’s visitors to pay you a visit as well. Posting engaging content on a blog that has plenty of regular readers can bring in a rapid flood of traffic to your site – but again, earning that traffic should not be your main focus. The hardest part of any online business is to attract quality traffic to a website. You can find tons of tips of how to improve search rankings. Some of them are so-called “black hat” techniques and are said to boost the rankings very quickly. You can find also the “grey” and the “white” ones. The reason why all the above tips fall only within the “white hat” category, is that they are the safest ways to drive quality traffic to any website. None of them can harm your site. It’s true that some of them require more practice than others, but the good news is that you can mix them and implement them simultaneously.